This "set" of six lavish teaspoons is a set of five and a companion of the same period. The five are 1875 Moscow and by Ivan Alexseyev. The fiddle pattern may be plain, but the opulent decoration of black niello against a background of gold is sumptuous. The 84 zolotnik (975/1000) silver is engraved with the foliate design, which is then picked out in niello and gold. The sixth spoon is very close in design. 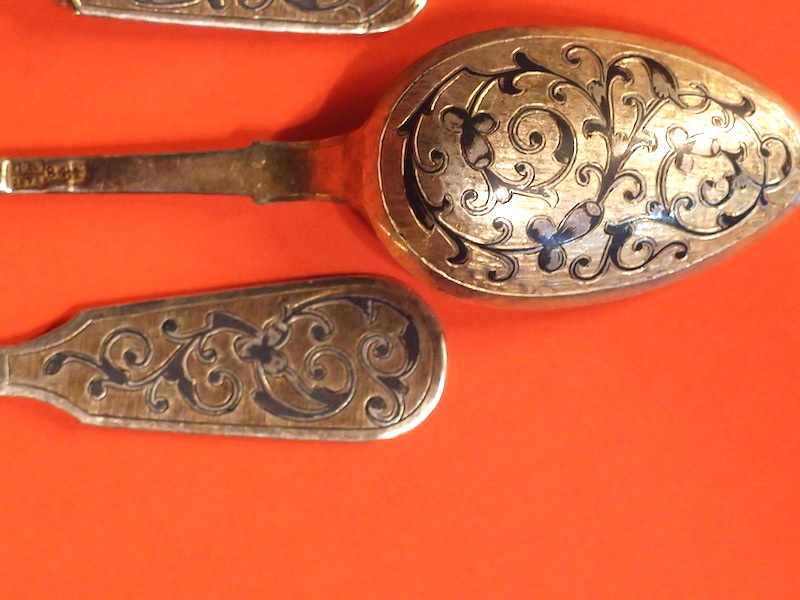 The spoons are 13.8 cm long and have a total weight of 128 grams. Alexander II period. 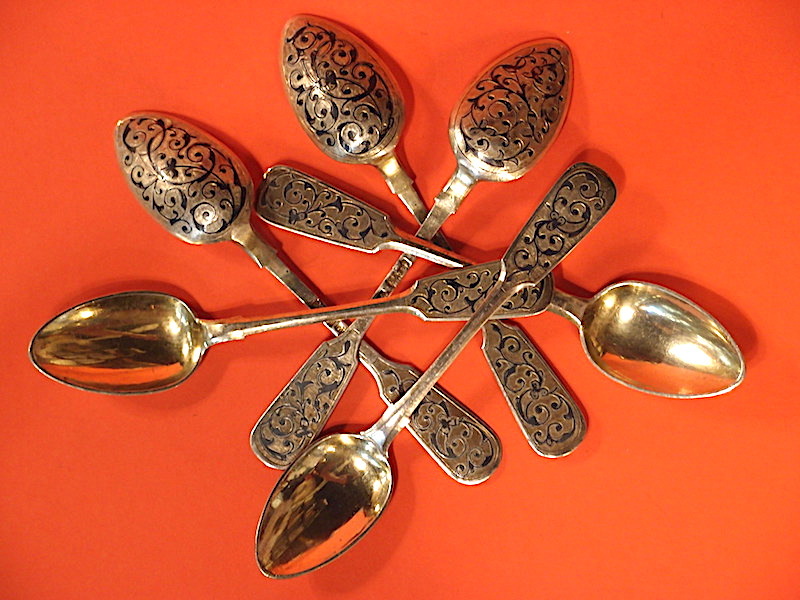 This “set” of six lavish teaspoons is a set of five and a companion of the same period. The five are 1875 Moscow and by Ivan Alexseyev. The fiddle pattern may be plain, but the opulent decoration of black niello against a background of gold is sumptuous. The 84 zolotnik (975/1000) silver is engraved with the foliate design, which is then picked out in niello and gold. The sixth spoon is very close in design.